Recent events illustrate that the imperialist countries are committed to drastic changes in the political situation inside of Somalia. 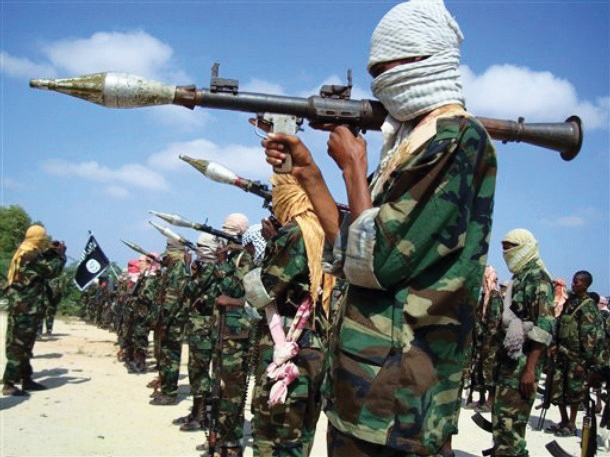 On Nov. 18 the Kenyan government announced it had placed a formal request to the United States State Department for greater military assistance in the campaign to liquidate the Al-Shabaab Islamic resistance movement based in southern and central Somalia. During the same week it was reported that the Ethiopian army had crossed the border into Somalia in an effort to aid both the U.S. and Kenya in the war against Al-Shabaab. Kenyan Defense Forces had launched a land invasion into neighboring Somalia in October aimed at capturing Al-Shabaab bases in the southern region and uprooting the resistance movement from the strategic port at Kismayo. In addition to these developments, the leaders of Uganda and Kenya traveled to Israel for high-level meetings with Tel Aviv to also request their support in the Somalia war. Israel and the United States have had economic and military ties with Kenya for many years. France entered the war in Somalia during October when there were reports that their naval vessels had bombed areas in the south of the country. Despite the denial from Paris, Kenyan military spokesmen confirmed the French intervention. Over the last few months the Pentagon has stationed drones in Somalia, where attacks have been carried out on a daily basis resulting in the deaths of hundreds of civilians. Over the last few months the Pentagon has stationed drones in Somalia, where attacks have been carried out on a daily basis resulting in the deaths of hundreds of civilians. 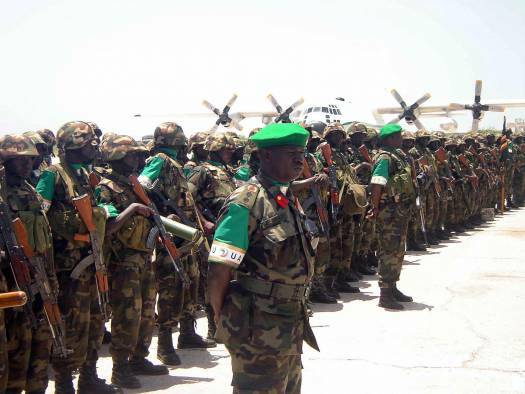 Washington supplies funding, arms and training for the African Union Mission to Somalia (AMISOM), which has 9,000 Ugandan and Burundian troops that are largely based in the capital of Mogadishu to bolster the fragile U.S.-backed Transitional Federal Government (TFG) regime in the city. 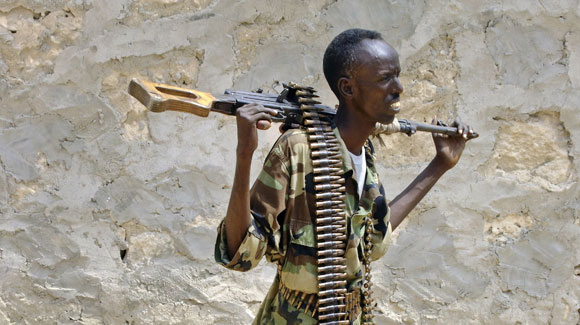 Reports from the battlefield in Somalia indicate that the Kenyan military intervention is not going well. Conditions of heavy rainfall and the lack of combat experience is hampering the efforts to dislodge Al-Shabaab from key towns in the south where they have built up fortified positions as well as support among the local populations. As the Los Angeles Times reported on Nov. 17, “Kenya’s government has made an urgent appeal to the Obama administration for the Pentagon to provide intelligence and logistical support to Kenya’s faltering month-old military operation in Somalia against the Shabaab, a powerful Al Qaeda-linked militia. This same article says, “Such aid would represent a significant expansion of U.S. involvement in the chaotic East African nation.” Yet the U.S. has been a major player in Somalian affairs since the late 1970s, when it persuaded the former leader, Mohammed Siad Barre, to break ties with the Soviet Union and ally itself with Washington under the Carter administration in its efforts to defeat the Ethiopian Revolution at the time, which was support by the former USSR and Cuba. 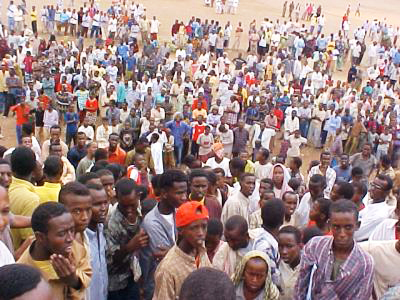 A Somalian invasion of Ethiopia in the Ogaden region in 1978 resulted in a defeat for the then pro-U.S. government of Siad Barre. Cuban internationalist forces stationed in Ethiopia at the time participated with the efforts to oust the Somalia intervention, which was encouraged by the Carter administration. Later in 1992 under the George Bush Sr. administration, thousands of Marines were sent into Somalia in what was known as “Operation Restore Hope,” an intervention ostensibly designed to provide “humanitarian” assistance to drought-stricken people. The intervention was quickly exposed as an invasion, resulting in a popular resistance uprising against the U.S. and United Nations, forcing their withdrawal by early 1994. In specific reference to Ethiopia, with the collapse of the Soviet Union in 1991, the government of Mengistu Haile Mariam was removed with U.S. backing, and the successor regime has maintained close ties with Washington. Ethiopian Prime Minister Meles Zenawi ordered his troops into Somalia in late 2006 to support U.S. aims in the region. Nonetheless, within two years, the Ethiopian military, which receives large-scale assistance from the Pentagon, was defeated by the resistance forces that were then led by the Islamic Courts Union (ICU). A split within the ICU brought about the advent of Al-Shabaab, which has maintained a firm position opposing the U.S.-financed and coordinated intervention of AMISOM. This latest push into Somalia by the combined forces of Kenya, France, the U.S., Ethiopia, AMISOM and Israel is clearly designed to turn this strategically located Horn of Africa nation into a base for imperialist intrigue. 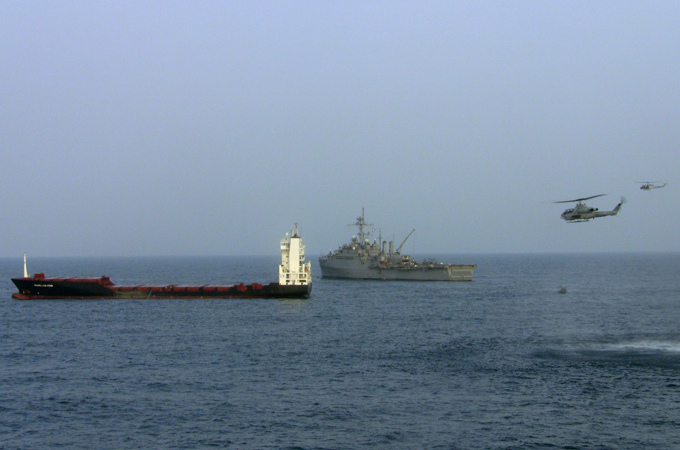 The U.S. Africa Command (AFRICOM) already has a base in neighboring Djibouti along with France, and the establishment of a similar outpost in Somalia would assist tremendously in the overall objectives of the Western capitalist states to secure East Africa as a continuing source of oil, raw materials, shipping lanes, tourism and cheap labor. The recent overthrow of the government of Col. Muammar Qaddafi in Libya has set a dangerous precedent on the African continent. The U.S. and NATO bombing campaign and support for rebel forces has provided an opening for further penetration of AFRICOM on the continent. In Somalia, the use of Kenyan and AMISOM forces along with the newly-formed Somalian army that is under the control of the TFG has resulted in a quagmire as it relates to the attempt to crush Al-Shabaab. With the announcements of escalating U.S., French, Israeli and Ethiopian military engagement, the imperialists are searching for a formula to consolidate their efforts in the region. If Libya is any indication of what the real aims of imperialism are in East Africa, such a militarization of the Horn of Africa will inevitably lead to further exploitation and impoverishment of the masses. In Libya, U.S., British and French oil firms and other corporations are eager to exploit the vast oil and natural gas reserves in this North African state. If Libya is any indication of what the real aims of imperialism are in East Africa, such a militarization of the Horn of Africa will inevitably lead to further exploitation and impoverishment of the masses. The nationalization of oil resources and the re-channeling of profits from its extraction and marketing resulted in Libyans under Qaddafi having the highest standard of living in Africa. Today the social programs that guaranteed free education, healthcare, housing subsidies and women’s equality are being systematically abolished with the blessing of the U.S. and the NATO countries. Also the same source reports: “The [U.S.] Air Force began flying the unmanned aircraft from an airfield in southern Ethiopia and has flown drones from a base in the Seychelles islands, several hundred miles away in the Indian Ocean. In Libya, the use of drones, fighter aircraft, naval vessels, CIA and MI6 operatives along with NATO-led rebel military forces on the ground sealed the fate of the Qaddafi government. A similar strategy is being utilized in Somalia with total disregard of its impact on the people of this drought-stricken nation. Anti-war organizations and the burgeoning anti-capitalist movement in the U.S. must raise demands related to the need to oppose increasing military interventions in Africa. These wars not only drain resources away from the working class, the oppressed and youth inside the U.S. but are specifically designed to enhance the power and influence of international finance capital. With the nationwide crackdown on the Occupy Wall Street movement, the U.S. is seeking to crush opposition to its program of austerity at home and imperialist war abroad. Therefore, the social justice movements must advance demands that express both solidarity with the peoples of Africa against U.S. imperialism as well as the commonality of interests in the struggles of working people and the oppressed around the world. DAMN indeed. WBAI AfrobeatRadio did a show about this right after the Ethiopian assault with drone bombers but I haven't had the time to get it online yet. I noticed that few people had commented here but I posted this to my Facebook page and lot of people seem to be reading or sharing it there. The knowledge and style of the professors proves to the student that did the decision make for the selection of this institute right or not? Professors have also very important part to show that the selection of the institute was right or wrong. Good writing makes image for a person.